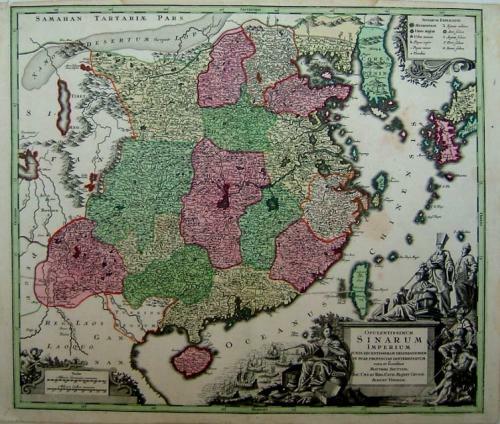 A striking German map of China. The fine detail and engraving includes an elaborate allegorical title cartouche depicting Oriental and European figures. Also of note, is the delineation of the Great Wall in the far north and the fine original colour. Good condition with original colouring.